Hello! Welcome Spring! I'm ready for lots of flowers blooming and warmer weather. My Iris plants got their first blooms yesterday! 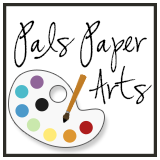 Here is s sneak peek of my Pals Paper Arts Challenge card that I will fully show you tomorrow! The colors are a lot like my Iris blooms! Please join me tomorrow! Last TWO days for Sale-A-Bration! 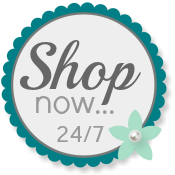 Order $50 in Stampin' Up! products and earn one *free* Sale-A-Bration items! Did you know you can order your Starter Kit for $99 and receive $156.50 worth of Stampin' Up! products of your choosing? No further obligation to buy or sell! This is a fantastic opportunity and only good through March 22nd, when Sale-A-Bration ends! Whether you would be interested in earning some extra cash or just getting a great discount, this deal could be for you! Here is more information. I was so excited to see that my daffodils came up and had a few buds. I need to check them again and hope that the recent snow didn't kill them. Watching the flowers first bloom is always a favorite spring thing for me! Hey, Kristie! Yes, I love looking for those blooms, too! I was glad to see that they are blooming in time for Easter, as usual, even though Easter is early this year. I guess they know the timing! Thank you for your comment!